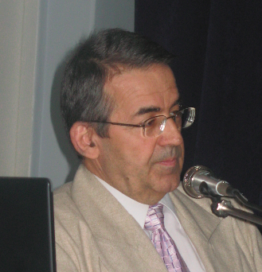 Albert I. Krashenyuk, Professor, Ph.D.
General Director of Academy of Leechtherapy, Saint-Petersburg. In the project “MorTransGaz” (SeaTransGas) Krashenyuk A. is responsible expert on the problems of ecological safety of entire project, safety of the work of personnel under the conditions of low temperatures and reduced oxygen content (area of Barents sea), on number of technological problems, including the coordination of questions on arrangement and work of plant for the liquefaction of gas in the conversion territory. 1974-1995 – Head of laboratory of biochemistry and biophysics; Leningrad scientific research institute of epidemiology and microbiology named after Pasteur. 1995 – Received Doctor of Medical Sciences. Krashenyuk A.- the author of 118 publications on the themes: biophysics, biochemistry, virology, biotechnology, gas-discharge visualization (effect of Kirlian); He is the author of 25 inventions. space biotechnology in the USSR. Assumed participation in the preparation of experiments under the conditions of micro-gravity on the installations of “Tavriya”, “Robot”. Publication of the interview of professor Krashenyuk A.I. there is in the journal “Newsweek” (02.12.2002) on the theme of new biophysical methods in Russia and the World.